This week's Bay Area storm is reigniting landslide concerns for a Daly City church. A portion of the Korean church sits on top of a cliff along Avalon Canyon. 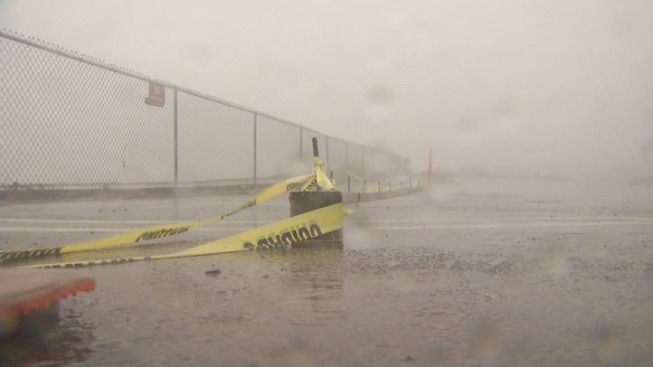 The wet weather this week combined with California's severe drought has increased the possibility of landslides in the area, officials said. "In this area around the church it has slide before, so you always worry about that," said Dan, a neighbor. "A lot of cold and lot of water -- it fractures off the land." Church and city leaders are scheduled to meet Tuesday to discuss the church's parking lot and to come up with a solution. Some geologists said the current pace of the rain -- one that is slow and steady -- could be better than a quick, heavy sitting storm. "This is probably a better scenario for the Bay Area hills," said Thomas Whitman a CalTrans senior engineering geologist. "Water comes and rains for a day or so, and then a few days break and it allows the water to soak in." If the rain keeps at this pace it could mean fewer big problems down the road, as long as it stops every once in a while. "We're not getting a tremendous amount of runoff right now," Whitman said. "We're getting surface flow that can carry debris or dislodge materials that can create bigger problems." Daly City and church officials on Monday did not want to discuss Tuesday's meeting regarding the parking lot.